The Beltcarry is a full tang quick access multipurpose field knife that is great for every day carry. 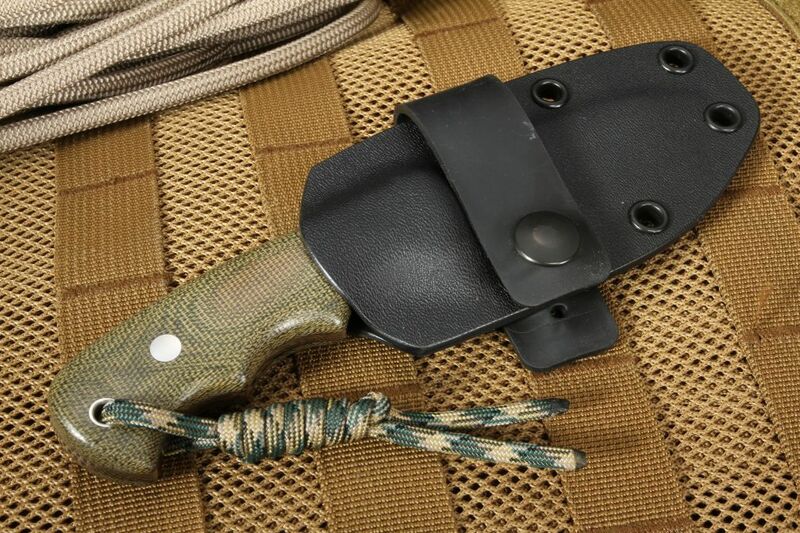 The size of this knife is compact enough to carry it in a variety of situations, all while at the ready in a horizontal belt kydex and adjustable rubber snap sheath system. The rubber belt loop can be adjusted to fit a very wide belt. 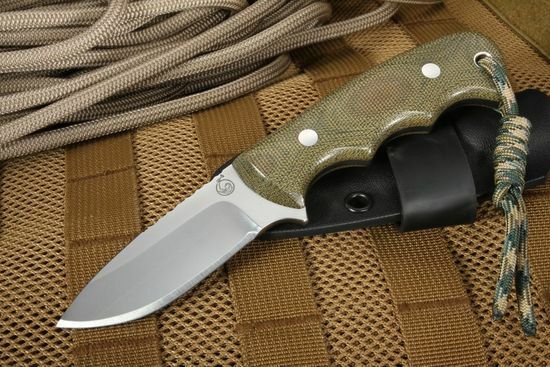 The Beltcarry knife has 3" blade of high-quality D2 carbon steel with a deep hollow grind. 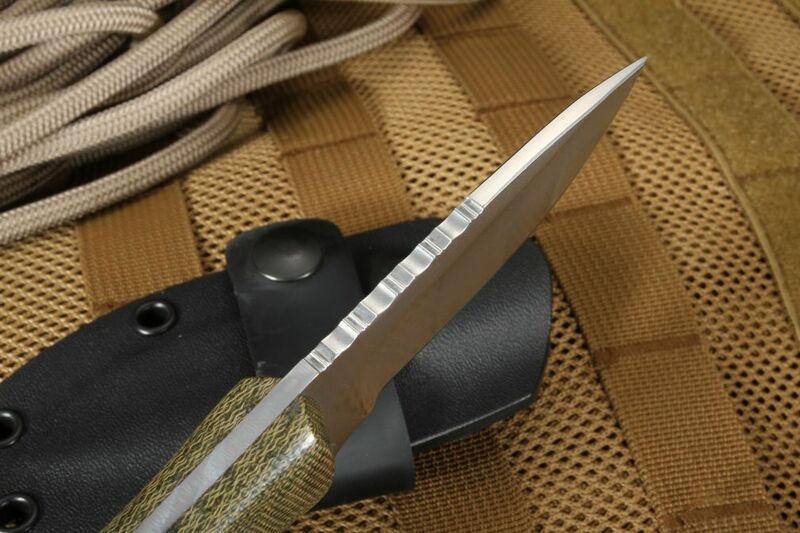 D2 steel is a well-respected tool steel that is used on many heavy-use knives. 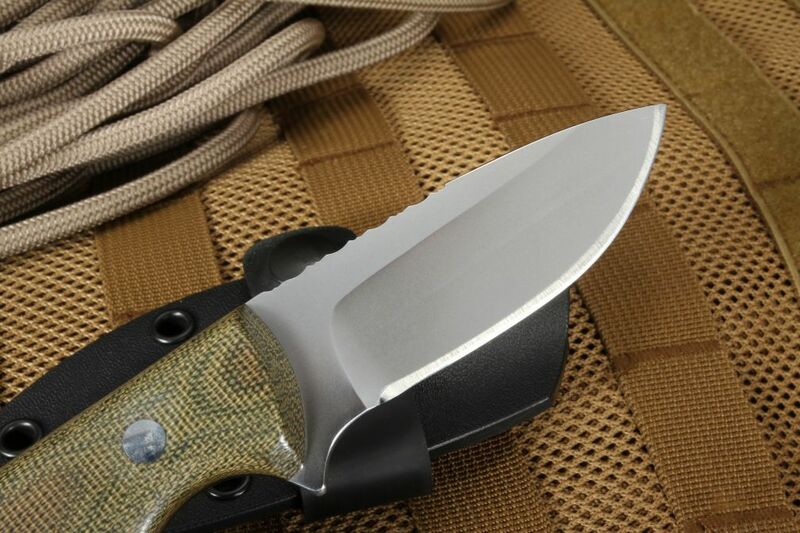 D2 steel has long been used on custom knives because of its unique steel composition (with 1.5% Carbon, 1% Molybdenum, 12% Chrome, and 1% Vanadium). This composition lends itself excellent edge holding abilities and its semi-stainless maintenance. 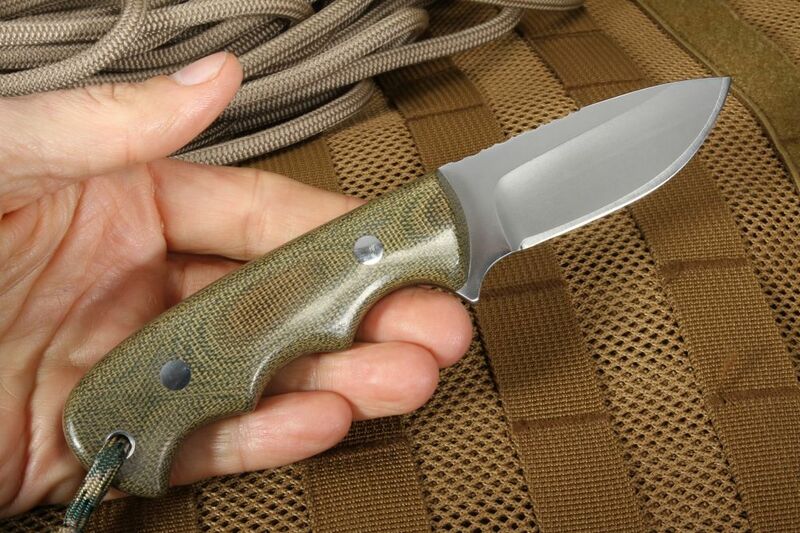 The Beltcarry features an ergonomic contoured green micarta handle, providing the user with an extremely durable handle. Large polished stainless steel pins in the handle. Index finger guard is integral to the tang and helps prevent forward slippage. Jimping on the thumb rest of the blade spine really adds great forward traction. 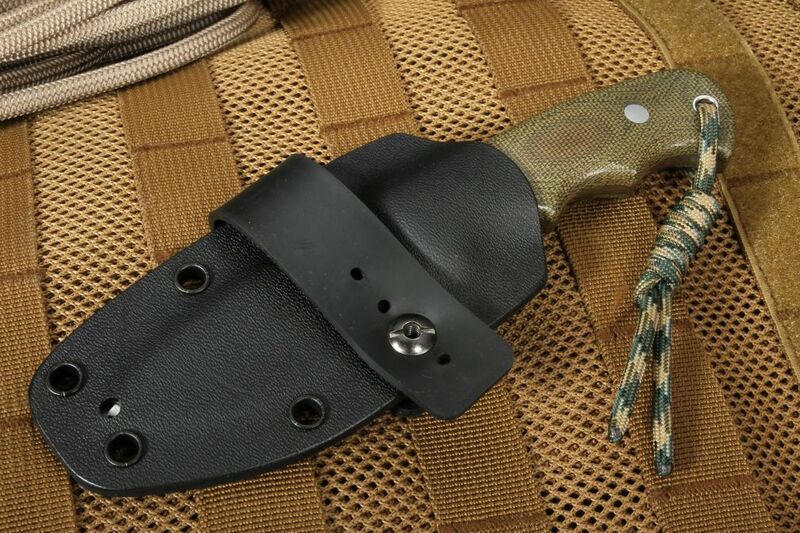 The knife comes with a high quality molded black Kydex sheath with a rubber snap style belt loop - set up for a quick draw - at the horizontal position. Lanyard pin and hole in the rear section of the handle has a paracord lanyard attached. This fixed blade is perfect for a wide variety of situations - tactical carry, self-defense, camping, and hunting. 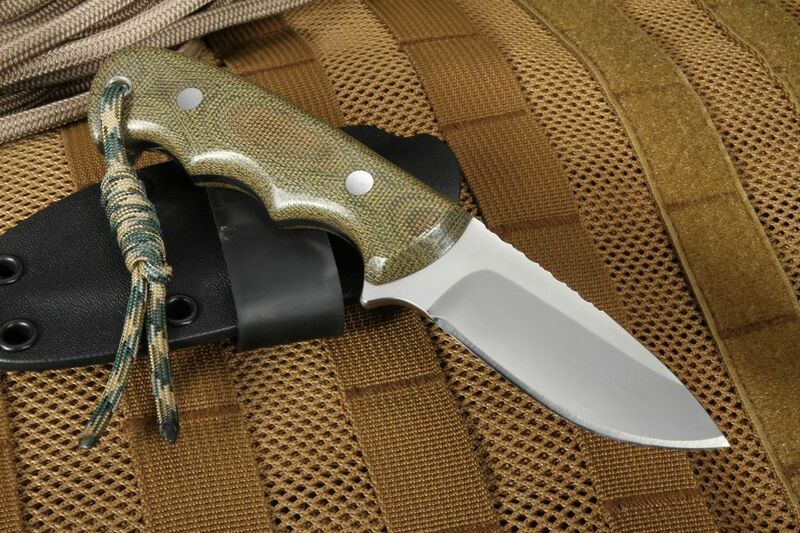 We designed this knife with the hard use customer in mind. Each knife is completely made to our specs in the U.S.A.